Am I buying from VIP Puppies? VIP Puppies does not directly sell puppies. VIP Puppies does sell dog related products. We are an online marketplace and global community website that connects buyers and sellers in a safe, transparent environment. When you order, you are buying from individual sellers. Each seller has a store on VIPpuppies.com. They’re available to answer questions before, during, and even after, your puppy purchase. Can you guarantee the photos I see are accurate? We have made every effort to accurately display the colors and images of the products and puppies on our website. We cannot guarantee that your mobile or computer display of any color will be correct. Are these puppies coming from a puppy mill? 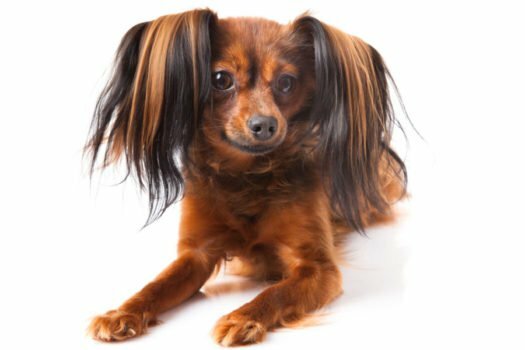 We have made every effort to weed out any puppy mills to ensure that you will receive a quality puppy from an elite breeder. All Breeders are required to go through our screening to ensure they are not a puppy mill. At how many weeks can you buy a puppy? Eight weeks old is the ideal time to buy a puppy. By eight weeks, healthy socialization with Mom and litter-mates has occurred and puppies are ready to go home. Who do I contact if there's a problem with my order? Sellers are responsible for a product or puppy until it reaches the purchaser, including shipping and transport. If you should encounter a problem with the product or puppy purchased through VIPpuppies.com, please contact the seller. In the event of a dispute, you can opt to use our online dispute resolution process. This is a streamlined process that is free to both sides and can help you reach a fair settlement. What happens if I'm not satisfied with the product or puppy? For both puppies and products, the guarantee and return policies of each seller vary. Please read their policy carefully before completing your order. You must return a product purchased through VIPpuppies.com in the same condition in which it was received. Initiate the dispute process by emailing support@vippuppies.com to get started. Your dispute will be finalized and initiated within 24 hours. We will guide you through the process of utilizing online dispute resolution, but we will not make any final judgments. Where to buy puppies online? VIP Puppies presents a safe and secure place to find quality puppies online. Additional places to buy puppies online include Lancaster Puppies, Greenfield Puppies, and Puppy Find. Learn more about buying a puppy online here. How to buy a puppy online? Search any online puppy marketplace for your breed. Speak with the breeder, read breeder reviews, view pictures of your chosen puppy, confirm transportation methods, and make a secure payment. Fetch your new best friend.